Combining moving personal stories with extensive research, Dr. Hinshaw provides tools for parents who want to empower their daughters to deal in healthy ways with today's pressures. Stephen P. Hinshaw, Ph.D., is professor and chair of the Department of Psychology at the University of California, Berkeley. He is an internationally recognized psychologist and researcher whose work on troubled children has received ongoing media attention. Articles and interviews featuring him and his work have appeared in The New York Times, The Washington Post, The Boston Globe, the San Francisco Chronicle, the Chicago Tribune, and USA Today. He has appeared on Today, NBC Nightly News, ABC World News Tonight, and CNN. "Highly readable, fascinating account of the lives of contemporary young women ... In probing chapters that deftly synthesize sobering statistics, case anecdotes, and personal observation, Hinshaw makes a strong case that teen girls are in crisis ... 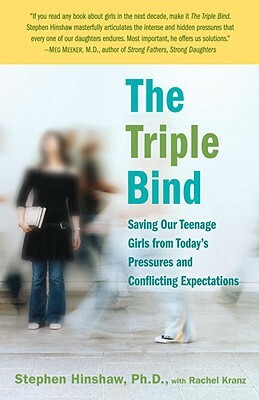 This balanced, thorough, compassionate title is required reading for parents, teachers, and teens of both sexes."